PERFECT GIFTS FOR ANY OCCASION!! A Chocolate Bouquet makes a perfect gift for any occasion, such as birthday gifts, wedding gifts, anniversary gifts, or engagement gifts. Religious & cultural events such as Christmas, Easter, Eid, Rahki, Diwali, Hanakkah, Mothers Day, Father’s Day, Valentine’s Day, Christenings, Baptisms, bat & Bar Mitzvahs as well of course as Get Well Soon gifts, Sorry gifts, Thank You gifts, Congratulations Gifts, Thinking of you gifts or just because gifts. Excellent customer service and amazing creation. My friend who received this as a gift couldn’t be happier – thank you. Speedy delivery and beautiful product. Highly recommend. Reliable and an excellent product! 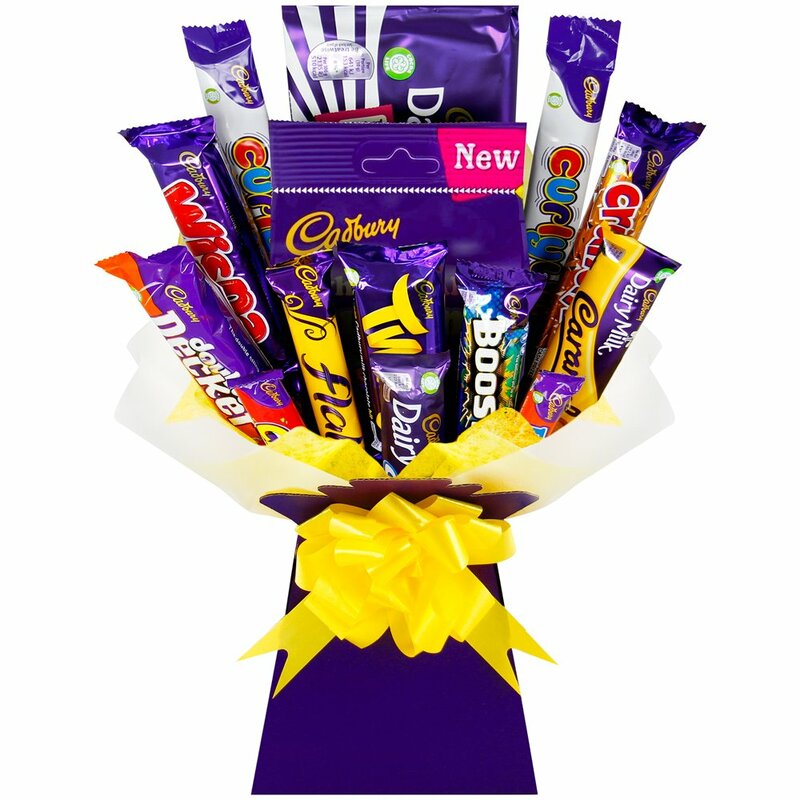 Following hospital treatment I ordered a Cadbury Favourites Chocolate Bouquet to be delivered to the Day Surgery Staff to thank them. The staff were so impressed and touched by the bouquet that their manager phoned me to thank me. She told me some staff had even taken photos of it. Thank you Sweetie-Bouquets for helping to make the day special for such amazing hospital staff. Ordering was easy even though I made a mistake with my order! This was quickly and efficiently sorted out for me which gave me peace of mind. 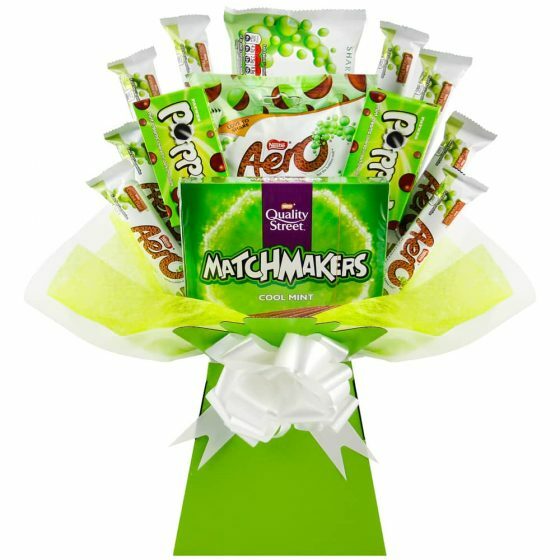 My friend who received this gift was really happy with it and all the chocolates were on a individual stick so looked like a bouquet of flowers, ideal gift and different. Very impressed. The bouquet was amazing. Very good value for money and looked so lovely. Fantastic experience. I will recommend this company to every1. I didn’t see the gift myself as it was sent to someone else. But it arrived as arranged and recipient was happy with it. My nephew was delighted with the chocolate bouquet!! Would 100% use again. Prices were reasonable, and the ending product looked great! My partner absolutely loved it and the delivery options were so good! Would 10/10 recommend. 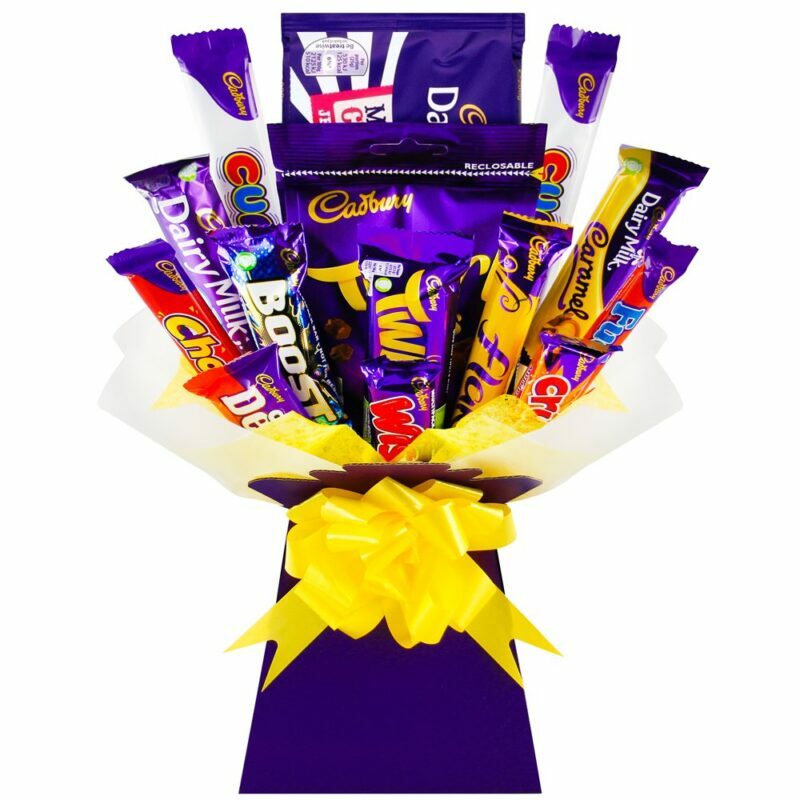 I bought the Cadbury’s bouquet for my father in laws 90th birthday! He’s got such a sweet tooth he loved it! It was well packaged and arrived on time 🙂 will be using again! Great product, arrived on time and customised per my request. A lovely gift! Arrived right on time. Looked fabulous. A great gift, made my friends birthday. Excellent product, looks amazing when opened and the recipient was really pleased. Thanks.